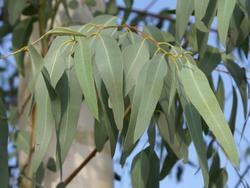 We are a leading Exporter of eucalyptus oil from Ahmedabad, India. Usage personal use, cosmetic use, pharma use. We are manufacture high quality Eucalyptus Oil.By super critical fluid extraction with natural dioxide no solvent residues,no inorganic salts, no heavy metals. packing type - HDPE carboys. Application- Personal care, Pharmaceutical Use, Cosmetic Use.